Scar revision offers a solution for individuals who wish to minimize the appearance of skin irregularities that remain after wounds or surgical incisions (Skin Cancer Treatment ») or other surgeries heal. The appearance of your scar will play a major role in determining the best type of treatment for you. Scar tissue can vary in color, depth and texture. Hypertropic scars, those that consist of thick clusters of scar tissue, as well as keloids and contracture scars, usually require surgical revision. Scar revision techniques and procedures provide a selection of options to help reduce the appearance of various types of scars. The best method for treating your scar depends on the location, the unique way your body heals, and the specific characteristics of the existing scar tissue. Scar revision surgery involves removing the old scar and closing the wound using advanced techniques, such as complex flap closure or layered closure. 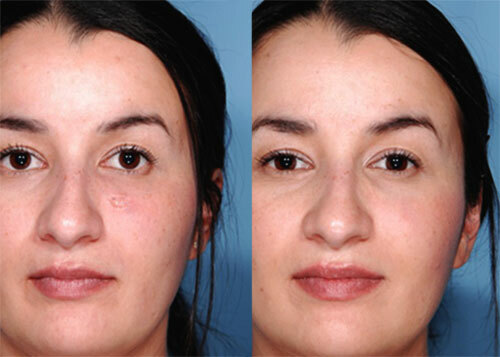 The procedure is done on an outpatient basis under local anesthesia. Depending on the characteristics of the scar, pharmaceutical tissue substitutes may be used to replace missing skin, or tissue expansion techniques can be used to stretch nearby areas of healthy skin, in order to provide ample tissue for optimal wound closure. At your consultation with Dr. Heinrich he will help determine which procedure can best meet your individual needs. As with all types of cosmetic procedures, it is important to have realistic expectations and a complete understanding of the process. and the results are permanent.